I saw a kid die yesterday. No it was two days ago. Two days to put my thoughts together. You probably saw him die too. You might assume this is normal for me, I am after all, a medical doctor. You most certainly would be mistaken. I.Saw.A.Kid.Die.Yesterday! Having fully adapted to life at the bottom of the food chain, I was attending to my patients as I usually do. Six in all. A sudden onslaught, at the emergency department. The same emergency department I vowed never to return as a patient a little over two years ago. The same emergency department I was forced to return to about a year ago, when I had a severe crisis during my final year in medical school. As you can imagine, I was livid. I had already come to a point of acceptance. No matter how bad my pain, no matter how sick I was, no matter if I had exhausted all possible medications, no matter if I had taken maximum doses of multiple analgesics, no matter if I was still in excruciating pain, no matter if I was dying, I would not step foot in that Emergency Room. No.Matter.What! Suffice it to say, I had to return. As a patient and now, a doctor. 2 days ago, for about three hours I looked on as a mother lost her child. No, he was not my patient. I had my own. My residents and I worked our way through a bleeding peptic ulcer, bleeding hemorrhoids and everything in between. A patient was prepared for emergency surgery, IV lines were set, urethral catheters passed, an NG tube passed and all the while I could not keep my eyes off the scene unfolding before me. I was curious. I had questions. Why was the resident at his bed side, why was the resident still at his beside, why was the resident still at his beside 2 hours later? Why was the head of the department at his bedside too? 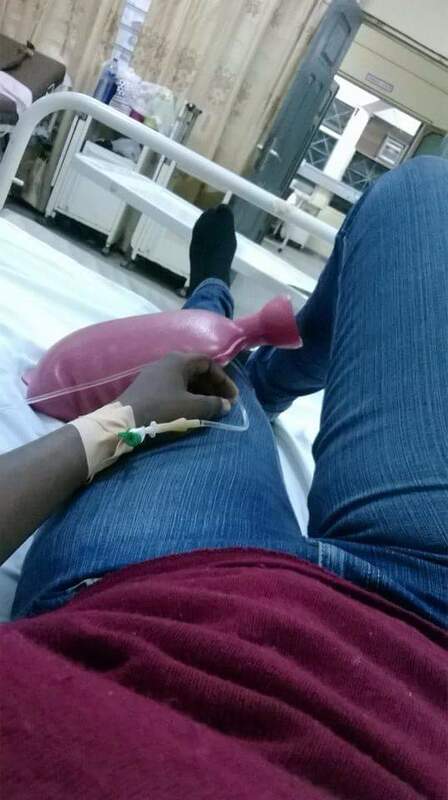 Why had they started squeezing the bag from which the blood he was being transfused run? Why had they started chest compressions? Why was the head of the department getting an AMBU bag? Why had they stopped chest compressions? Why was the kid being screened? Who was going to tell his mom? What just unfolded before me? As I finished clerking my patient, I watched as a mother, having come to the realization that she just lost her child, wailed and lay over his lifeless body. My patient was devastated. She was not answering my questions. She was sad and I quote “it is just sad when someone dies like that”. Like what, I wondered. What had we just observed? It is sad to see people die due to the failure of the health system.That has to be the worst kind of death, as if dying itself were not sad. As my questions were answered, I could not help but get upset.Yet in that moment, somehow, I was grateful to be one of the lucky ones. It was a sad tale. Too many lapses. Issues for which a person might get upset. Rightfully so. Yet, no specific reason can be ascribed nor solutions found. Lapses that were certain to recur because nothing would be done about them. The kind of lapses a person’s wealth can do nothing about. Lapses that keep 19 year old kids with Sickle Cell Disease dying in 2016 despite advances in medicine. Systemic failures. It is troubling that in 2016 in Accra, Ghana, at the premiere health facility and major referral centre, we do not have a 24-hour fully functional Sickle Cell Disease Clinic. Did we as a people forget that 1 in 4 Ghanaians has the Sickle Cell trait? Did we forget we have no respectable initiatives to fall on regarding comprehensive Sickle Cell Care? Did we all somehow forget that we are choosing to spread Sickle Cell Disease in this country at a rate of 2% of births per annum? Really, do we have collective amnesia regarding the fact that 15000 human beings are born annually with Sickle Cell disease in this country? I’ll love to know the rate at which we are collectively getting rid of persons living with sickle cell disease from our population annually. That, after all, seems to be our only strategy regarding this condition. Somebody, please tell me. 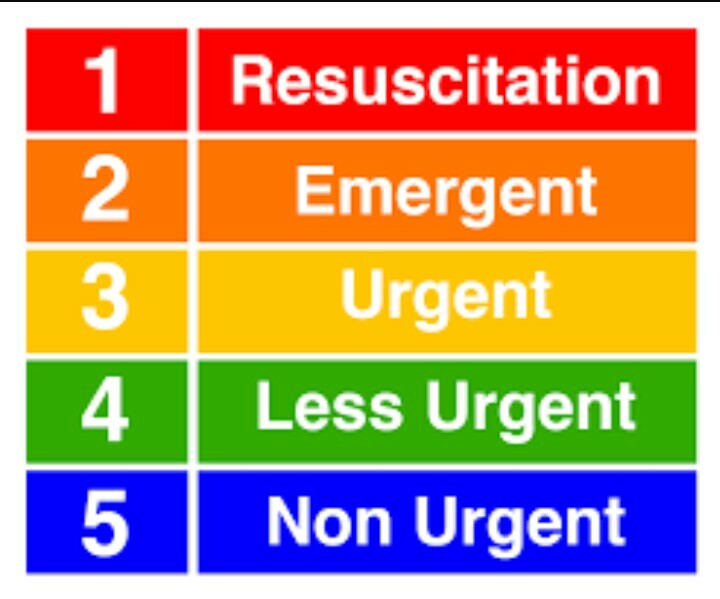 Somehow you make your way to the Emergency Department of a moderate to fully respectable health facility in the country and well, let’s try the triage thing. How do you think a person who limps in with pain in the leg, hip, arm etc gets triaged? They did after all, walk in and they can probably give a reasonable history while in excruciating pain plus or minus tears. How about jaundice and symptoms of anaemia/ severe anaemia. The assumption, most certainly is that persons living Sickle Cell Disease always have jaundice, and anaemia. Isn’t that like normal? So really what is the emergency? What.Is.The.Emergency? I keep hearing doctors say “as for these Sickle Cell Patients, things change fast, they can be smiling with you one minute, and next minute they are dead”. Somehow, despite this statement, there is no sense of urgency regarding the management of Sickle Cell Disease in the ER. Patients sit unattended for hours with intravenous fluids and analgesics set up. No, I do not contradict myself. Typically, intravenous fluids are set up, more intravenous fluids, even more intravenous fluid, pethedine, more pethedine, add on morphine if you are feeling charitable. Wait for patient to feel better, get upset if patient remains in pain, accuse said patient of being a drug seeker, IM Aqua, IM Normal Saline, what else is there? Meanwhile a person has a severe infection precipitating the crisis or a spleen actively “eating up” their cells and they sit for hours waiting to be seen by a doctor, because it is just pain. And 19 year old kids with Sickle Cell Disease keep dying because it is just pain. It saddens me when colleagues complain about referrals from other departments to physicians to manage Sickle Cell Disease. Their reason generally goes along the lines of “everybody (doctor) knows how to manage Sickle Cell”. Of course anyone can write a pethedine prescription and set up IV fluids. Everyone can, every one does. Every doctor should be able to effectively manage Sickle Cell Disease, yet 19 year olds kids with Sickle Cell Disease keep dying. I’m deeply saddened when people assume a person having a sickle cell crisis does not deserve specialist care. Why should a physician be called to manage their condition holistically? Is that the question, really? I watched a physician spend over 2 hours on this kid, not for lack of anything else to do, but because he needed that level of attention. I watched the kid switch from living to dead right before the physician. I watched the immediate steps taken by the physician in an attempt to save his life. And yet, we ask why the need for specialist care? Questions that arise no doubt because we do not have a fully functional specialist facility for Sickle Cell Disease and have not properly defined the standard of care for Sickle Cell Disease on a national level. Beyond all this, sometimes it all boils down to a blood transfusion. Being chronically anaemic, some crises send patients to extremely low haemoglobin levels, if ever a doctor has a lab result to go by given the nature of our system. It is a truly exhausting process trying to get blood for a severely anaemic patient who requires an emergency transfusion. Beyond the need to have relatives available and capable of paying the required sums, getting blood for an emergency transfusion requires a medical doctor to leave all other patients, physically go to the blood bank and beg for several minutes for blood to save their patient’s life. The doctor literally has to beg, explain, prove that their patient is really dying and absolutely requires the transfusion as opposed to another “equally-dying” patient in some cases. In the end it sometime boils down to a doctor’s negotiating skills and exactly how interested they are in the specific patient’s cause vis-a-vis the other patients to whom they owe the same duty of care.This basically calls into question, the very process involved in securing blood. The system as a whole is flawed, but who can we blame, if we operate in a system in which there is usually not enough blood at the blood bank? It is not uncommon to send relatives off carrying blood samples around Accra in search of blood. To what end? Late blood is almost certainly useless blood.The difference between life and death. Beyond our broken health system, it boils down to us, the people. The individuals who invariably make up the system. I watched an obviously smart child die. A wealthy family could do nothing to save their child. They started off elsewhere, probably a place the average person would/ could not attend. However, the thing about our system is, it catches up with you somehow. You might eventually be referred for specialist care, a transfusion or some other service that cannot be provided at whatever private facility your wealth affords you the opportunity to use routinely. And once you arrive, without prejudice, you or your loved one bears the brunt of what we have collectively decided to do nothing about. I can almost certainly guarantee, those who need to read this won’t. And those who read it, won’t bother to make any changes. Those who can and should prevent Sickle Cell won’t. Those who can donate blood voluntarily won’t. I saw a kid die yesterday. He was smart, he was healthy, he was wealthy. He was dead. This entry was posted in Blog and tagged Death, Ghana, Grief, health, sickle cell disease, Sickle Life. Bookmark the permalink. ← Adeiso Health Centre Outreach. Such a sad but wonderful piece . Pain is pain no matter how you grade it and therefore no one deserves to go through that. Just like how there is no grading for death, the same way we should see the pain of sickle cell disease patient. I pray we wake up from this perpetual slumber someday. This piece resonates with me because I too know of a promising, gorgeous 19 year old, poor child: hopelessly poor family. 19, died. Just like that. This poor family didn’t even know this child died of Sickle Cell complications until I started asking questions. Ghana needs to wake up. Thank you for this piece. I don’t usually ready “long” write ups online but I did read this and I am glad I did. I am a carrier (AS) and my wife to be is also a carrier (AC). I had to break up with 2 earlier lovers because they were carriers like me- AS. From my little search online and from some young medical practitioners, SC isn’t as severe as SS. I therefore decided to take the risk and marry my fiancee and hopefully we’ll be lucky to not have an SC child. Even if we do, we hope to be more careful and take better care to minimize crisis-triggers. We’re both O+ so I guess we should be able to donate blood to our SC kid should we have any at all. Thank you again for the insight. Even when there has to be blood transfusion a doctor’s negotiation skills come to bear? What a system! My Ghana! Reading this has been such an eye opener.